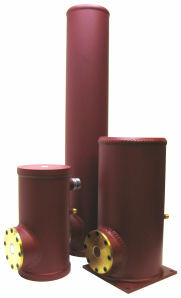 Infrared Associates, Inc. offers high quality Liquid Nitrogen cooled HgCdTe detectors. Each detector is optimized for specified wavebands of; 2µm to 5µm, 2µm to 13µm or our FTIR Series with wavebands up to 2µm to 24µm, as shown in the table below. The FTIR series of HgCdTe detectors are designed to achieve optimum performance in Fourier Transform Infrared spectrometers. The detectors offer the highest sensitivities with cutoffs ranging from 750 to 400 cm-1. A variety of dewar designs are available, all supplied with wedged windows to eliminate interference effects. In addition to the standard sizes listed in the following table, custom configurations are available on request. Custom packaging, both metal and glass, designed to interface with customer specified cooling systems, is also available. Accessories such as Preamplifiers, Valve Operators and Square Base Adapters are also available. 2 µm to 24 µm "FTIR Series"